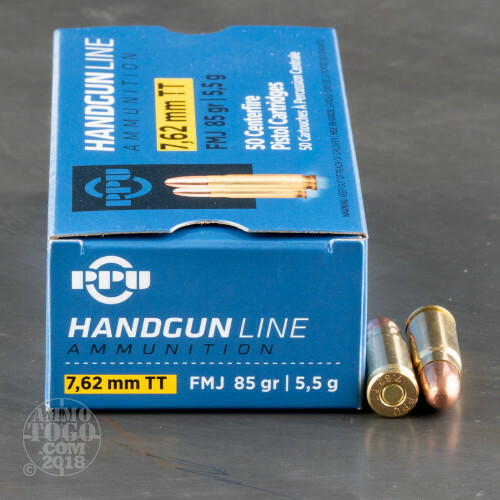 You get 50 rounds of affordable 7.62x25 Tokarev target ammunition manufactured by Prvi Partizan. 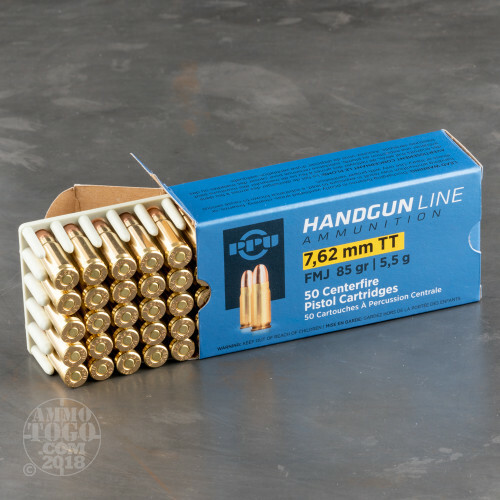 Each round features a high-quality boxer primer and is loaded in a non-corrosive, reloadable brass case. 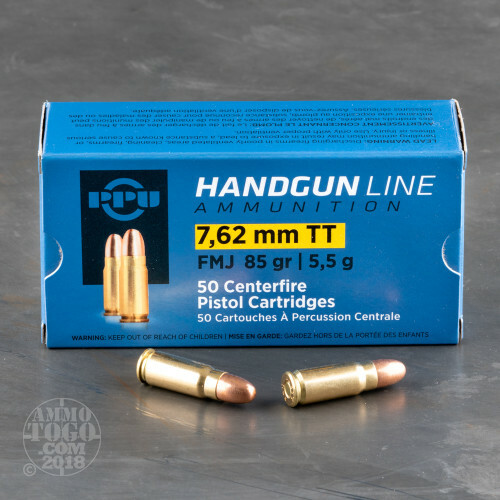 Ideal for tactical training, target practice, and competitive shooting, this ammunition features a range-safe, non-magnetic projectile with a copper-jacketed lead core. The full metal jacket (FMJ) design of these bullets provides excellent penetration with zero terminal expansion. 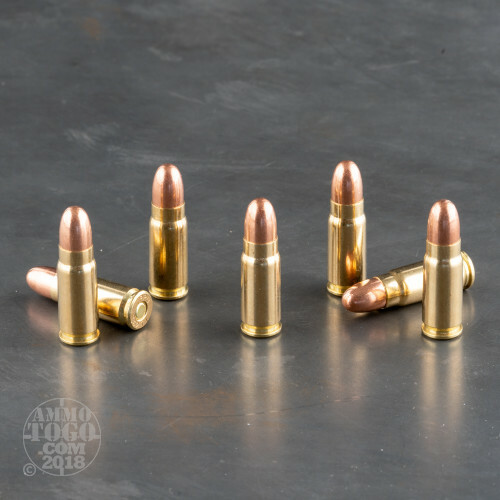 Leaving the muzzle at 1722 feet per second with 560 foot pounds of energy at the muzzle, these 85 grain 7.62x25 Tokarev rounds are competitive with most American-made ammunition available today. Prvi Partizan has been producing ammunition for military use around the globe since 1928. Well-known for superior quality, Prvi Partizan ammunition is an economical and reliably accurate option for high volume shooters. One of the premier European ammunition brands, Prvi Partizan combines a rich history with a dedication to research and technology advancement.